If you are searching for the finest, most complete mind machine stimulation system created specifically for ADD and ADHD, it is the Mind Alive ALERT Pro Light, Sound and CES Personal mindmachine with Tru-Vu Omniscreen lightframes. If you are searching for the finest, most complete mind machine stimulation system created specifically for ADD and ADHD, it is the Mind Alive ALERT Pro Light, Sound and CES Personal Stimulator with Tru-Vu Omniscreen lightframes. Customers oftentime mention having ADD or ADHD and what would be the best light and sound mind machine available for them. I always reply the Mind Alive ALERT Pro with CES. It is not the most expensive mind machine, it is the most effective. The ALERT Pro is the light, sound and CES mind machine that is used both personally and professionally. 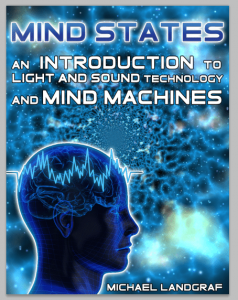 The ALERT Pro mind machine by Mind Alive includes all the proven effective light and sound stimulated ALERT sessions designed exclusively for Mind Alive by Michael Joyce. And now these sessions offer the added sensation of cranial-electrical-stimulation (CES). People with ADD or ADHD often struggle with other issues such as depression, anxiety, insomnia, cognitive challenges and drug abuse. There are roughly 102 CES studies addressing these issues. There are also CES studies showing boosts in IQ and attention. Children with ADD/ADHD and behavioral disorders (BD) often struggle with compounded issues such as insomnia, depression, anxiety, poor cognition (mental performance) and a tendency to experiment with drugs. Parents and clinicians using the ALERT are experiencing very positive results and those that have used AVE with CES say that effects are enhanced when using both together. You’ll never need another system – the ALERT Pro is built to last a lifetime – with an infinite amount of possible applications. Mindmachines.com clients and customers feel ease-of-handling and appearance is important, as is a mind machine that meets their specific needs. The Mind Alive ALERT Pro with CES is all of that and more. Over time, Michael has refined and developed these sessions based on the checklist toproduce benefits in specific areas. Now, all of this expertise has been put into the DAVID ALERT Pro. The ALERT Pro features larger easy-to-read, easy-to-operate buttons and allows users to select a session very easily. The ALERT Pro also features night-vue ability, which allows the user to see the session select buttons in the dark at bedtime or at night. 5 Sound Sync Sessions – Each category also has a Sound Sync Session to turn your music into an intriguing light show. All sessions include HRV and begin with a 3-stage process that enhances dissociation. The HRV technique used clinically is based on a 10 second breathing cycle (six breaths/minute, by inhaling slowly for five seconds and exhaling slowly for five seconds in an easy, relaxed breath). When using HRV paced breathing, listen to the heartbeat generated by the DAVID ALERT Pro through the headphones. Inhale for two heartbeats and exhale for two heartbeats (not your own heartbeats!). Most sessions begin at seven breathing cycles/minute (28 heartbeats/min) and slow to six breaths /minute (24 heartbeats/min). This allows the user to breathe a little faster at the onset of a session until he/she has had time to relax.